End the epidemics of AIDS, TB, Malaria, Neglected Tropical Diseases, and other communicable diseases. In 2018, in partnership with the World Food Programme, UNICEF, the Jamie Oliver Food Foundation and others, we’re focussing on accelerating progress to Goal 2 – Zero Hunger – and Goal 3 – Good Health and Well-Being. Without action on health and nutrition, not only won’t we achieve goals 2 and 3 but we also won’t meet many of the other Goals from education and gender equality to environmental sustainability and peace and justice. 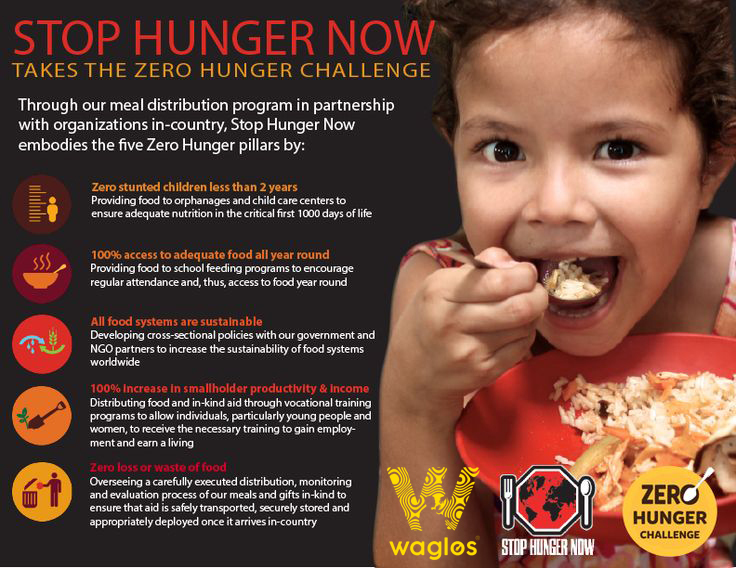 Achieving zero hunger and good health go hand in hand – a hungry world, will never be a healthy world. We have a real opportunity for progress in 2018. A powerful movement for change is already forming. But we need everyone to join the fight. This year join us in the campaign to achieve a #HealthyNotHungry world for everyone. The World Food Programme, UNICEF and Project Everyone, are hosting the official launch of the year-long #HealthyNotHungry campaign at the World Economic Forum with a focus on action against malnutrition. Malnutrition affects one in three people – it’s one of the biggest threats we face to our health and our wealth and is undermining progress in every area. At Davos, we’re bringing leaders together and launching the Healthy Not Hungry challenge calling on everyone to commit to action as part of the campaign for a healthy not hungry, inclusive world. World renowned chefs Jamie Oliver, Sam Kass, Manal Alalem, David Hertz, UNDP goodwill ambassador with the SDG Fund Joan Roca and UNICEF ambassador and SDG advocate Shakira are just some of the famous activists backing the campaign.